"You tell me," I snapped. "You were spying on us, right? Do you get off on watching, Puck?" The feeling was startling enough that I walked out, grasping the crumpled paper in my pocket as if doing so could somehow keep that answering smile from tugging on my lips. After taking forever and a half, I've finally sat down and finished this book, and... Y'ALL. It is amazing. I seriously love it so much. My review's going to go up sometime soon, so I'll save my gushing for that, but... AHHHH. THIS BOOK. Let's just say Sarah J. Maas has officially reserved her spot as one of my favorite authors. Like, officially. Because DANG, THIS BOOK. So much love. Puck sounds interesting- although I think he got the bad end of the deal. Looks like Issac is coming into his own. OOoh nice teasers!! Like them both! So anxious to read ACOTAR! Hope you both are enjoying your reads! 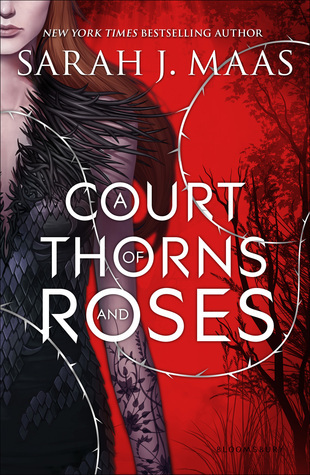 I absolutely ADORED A Court of Thorns and Roses... seriously one of my all time favorite. Awesome teasers! Puck... interesting name. I have this one on my wishlist. I loved ACoTaR too Jess! Such a great read, I want more! Joanna Wylde writes the best MC romance! I loved Puck's story! He's such an alpha!